This file is from the "The Wreck of the Relationship" episode of FOX show The Simpsons. Its use is believed to qualify as fair use under United States copyright law. 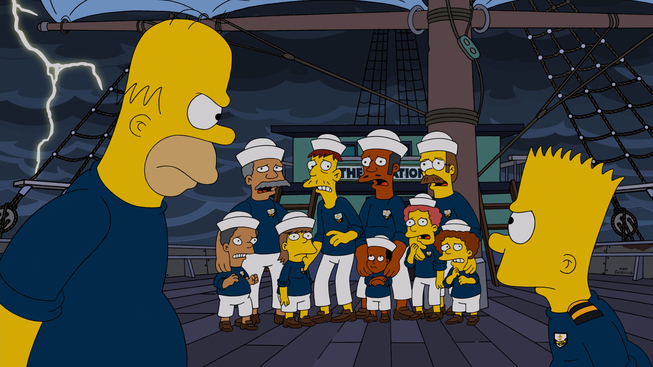 THE SIMPSONS: Bart disrespects HomerÕs authority in the ÒThe Wreck of the RelationshipÓ episode of THE SIMPSONS airing Sunday, Oct. 5 (8:00-8:30 PM ET/PT) on FOX. THE SIMPSONS ª and © 2014 TCFFC ALL RIGHTS RESERVED. Modified on September 29, 2017, at 11:14.